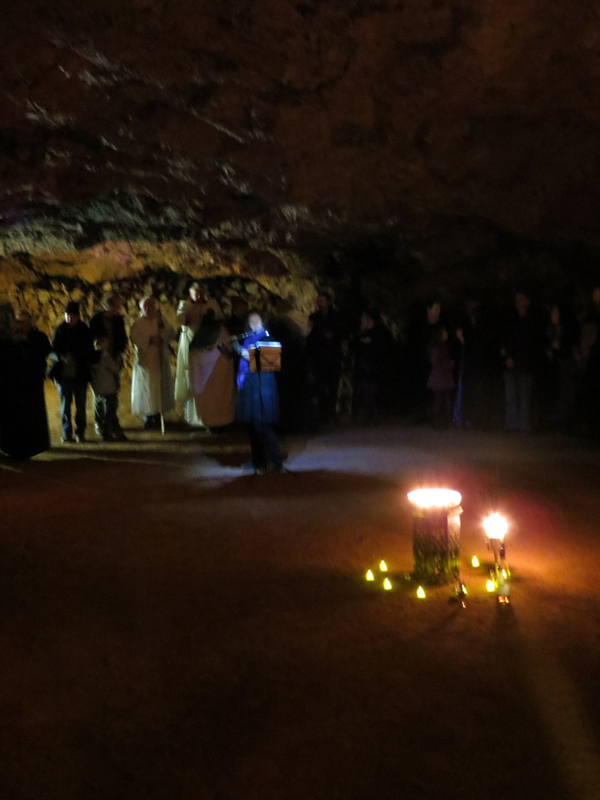 Nipped over to the Forest of Dean today, to Clearwell Caves, for the annual Imbolc Rite of the Cotswold Pagan Society. 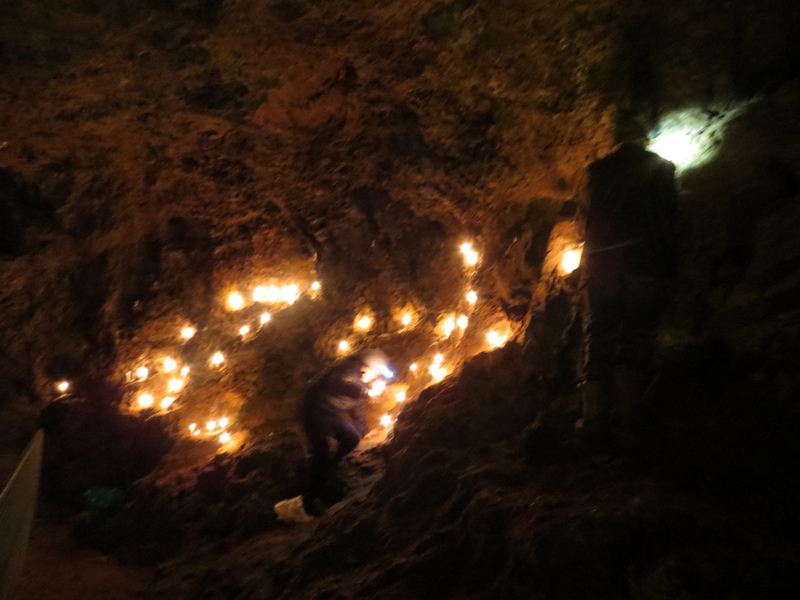 It might seem odd to dive under the ground for a ceremony that honours the emerging light of the new year, and the mother goddess Brigid, reknown for being the keeper of the flame. But Imbolc celebrates the energy of new growth, and that’s generally found under the earth long before the green shoots appear above the soil. 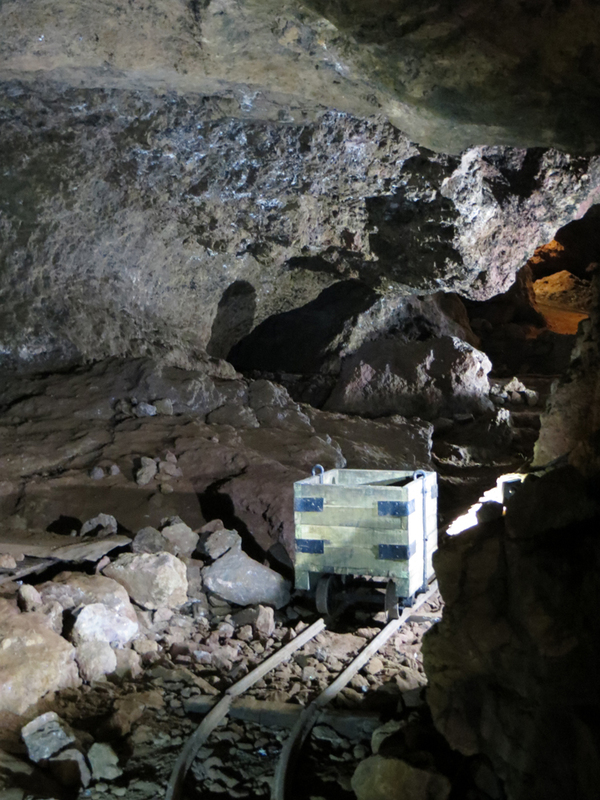 Brigid is also a patron of smiths, working the metals that are smelted from the rocks taken from such places as Clearwell. 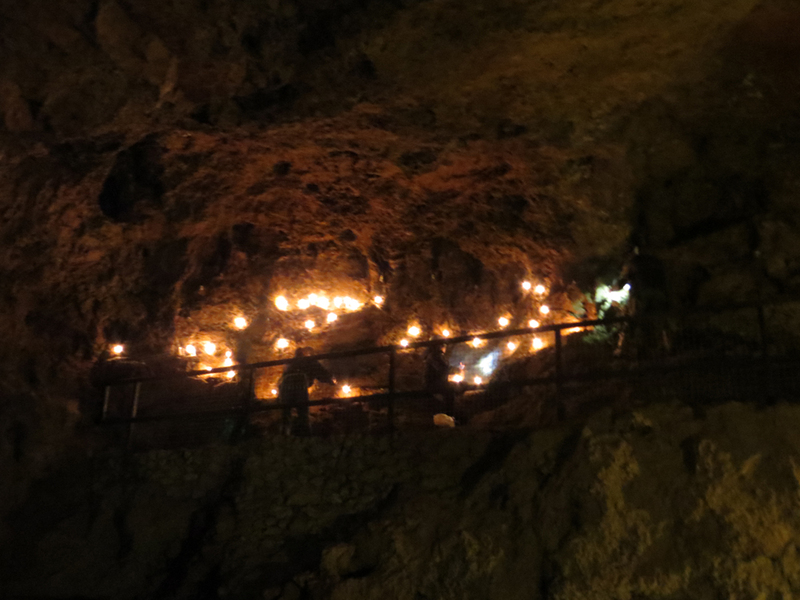 And as for flame, well you just have to stand in a rock-hewn chamber and witness the hundreds of candles and tea lights that illuminate the central cave. The hundred of so folk of all ages gathered in a circle and celebrated the spring, using words and ceremony written by Veronica and Marion of the COD with a circle opening that put me in mind of OBOD ritual and caused me to pick up a couple of Gwers when I got home. We were honoured to a piece by local flautist Amber Ennis and a song from Nimue Brown. 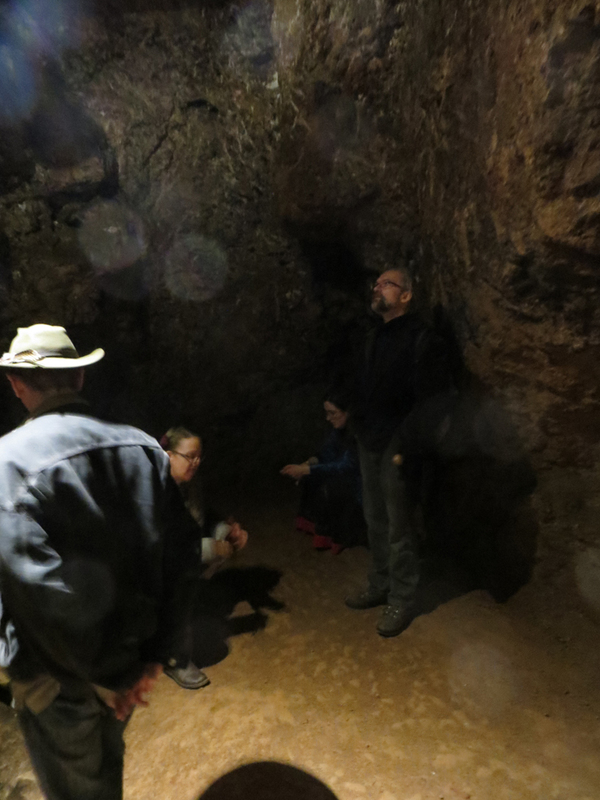 A few of us remained behind for a while afterward to sing in the fabulous acoustics of the cavern network, and play with the waters of the underground lake.